Are you actually offering your body to me in payment for a promise to look after Willie? Permalink: Are you actually offering your body to me in payment for a promise to look after Willie? 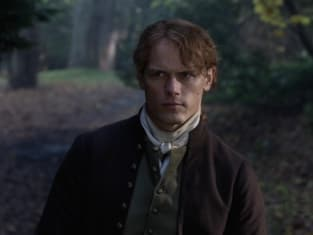 Jamie: You do not want me then? Lord John: I should probably want you til the day I die, but...tempted as I am, do you really think I would accept? Lord John: I am to be married. Jamie: Married? To a woman? Lord John: I think there are not many alternatives. Permalink: I think there are not many alternatives. Jamie: Keep it to remember me by. And for God's sake, don't tell anyone you're a papist. Willie: I won't. But I haven't got anything for you to remember me. Jamie: Dinna fash, lad. I'll remember you. Permalink: Dinna fash, lad. I'll remember you. Pain of losing a child never leaves you. Permalink: Pain of losing a child never leaves you. Love is...when you give your heart and soul to another. And they give theirs to you in return. Permalink: Love is...when you give your heart and soul to another. And they give theirs to you in return.